Two sisters just blogging about their passion: halal food! 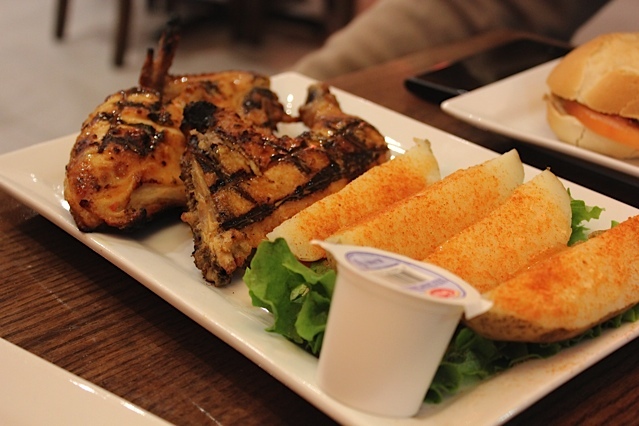 With the sudden increase in Portuguese Flame Grilled Chicken restaurants, what sets apart one restaurant from another? We think it is the customer service and creative menu items. 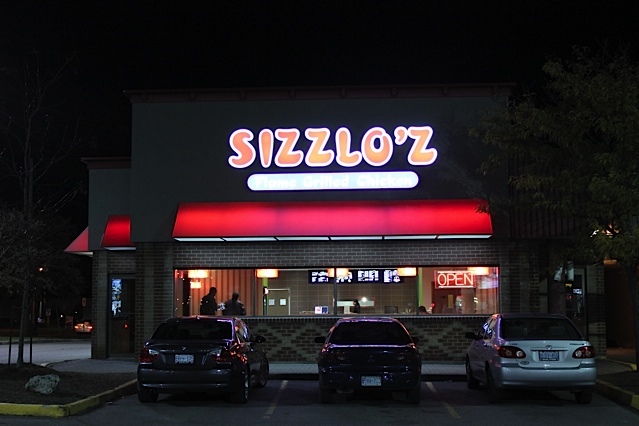 We experienced this at our recent visit to Sizzlo’z at the Dixie location. Judging by the high customer traffic on a weekday evening, we couldn’t have guessed that this restaurant opened up only a few months ago. 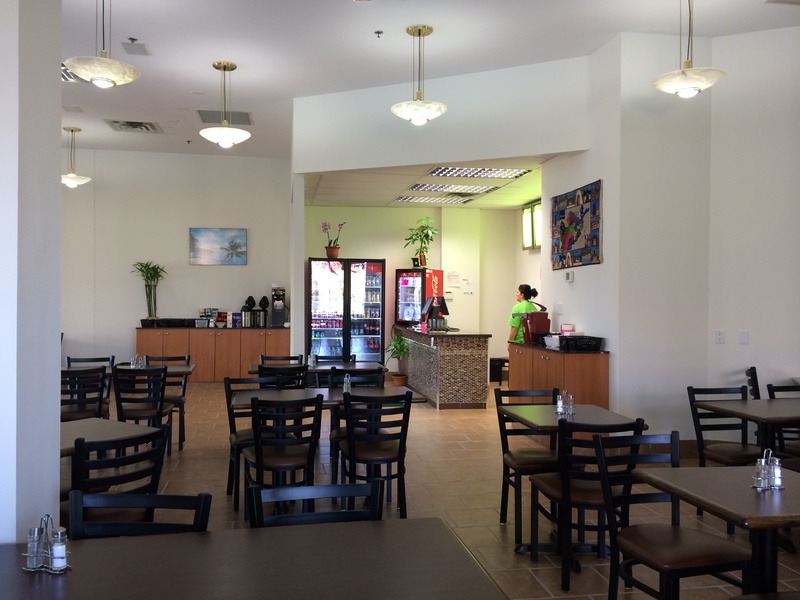 We were surprised by the fairly large size of the restaurant, which had lots of seating. The interior was well-lit, had large windows, was accented with bright colours, and best all, it was very clean! The menu was quite extensive so we took our time to place the order. We ordered Sizz Peri Bites ($4.25), Greek Salad ($2.99), Coleslaw ($2.99), Beef Patty Sandwich with Sizz Fries ($8.99) and Half Chicken with Potato Wedges ($11.49). We liked the fact that plates were brought for us and we weren’t expected to eat out of the serving dishes. 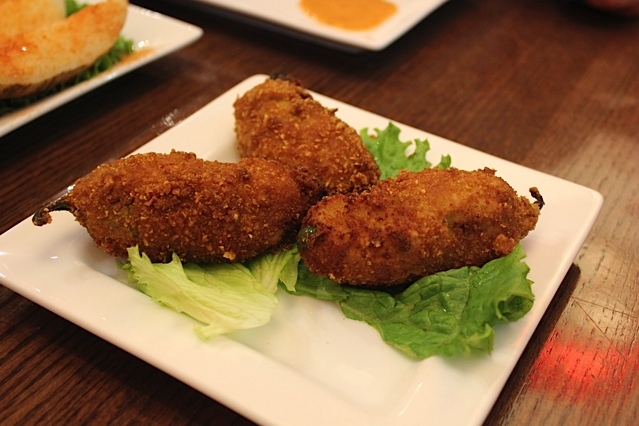 We started with the Sizz Peri Bites, which were jalapeño peppers stuffed with chicken, coated with batter and deep fried. We were surprised that the pepper was not hot at all, which makes them kid friendly. The Sizz Bites were crunchy and made a nice appetizer. 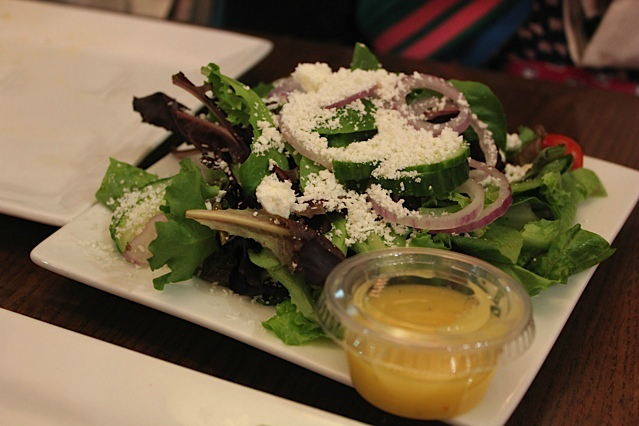 The Greek Salad was fresh and had just the right amount of dressing. For a bunch of people who don’t eat salad, we were able to finish all of it. The Beef Patty Sandwich with cheese was a standard burger. The beef patty was cooked well and it is was juicy. The Sizz Fries were amazing as always. The Half Chicken (mild flavour) was exceptional as the chicken was tender and full of flavour! We savoured every bite of it. Mmm! The potato wedges were probably our favourite side of all. It was basically baked potatoes topped with peri sauce and sprinkled with red pepper. It was finger licking good and we wished we had ordered more of it! To end our dinner, we ordered Coconut Mango Ice Cream ($3.50). We have had this ice cream before and it has always been delicious. 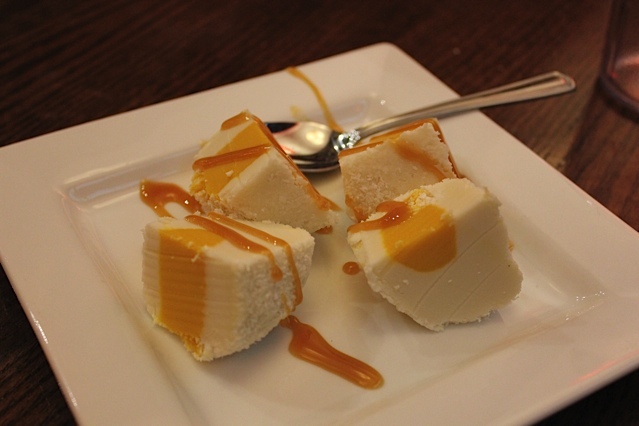 At Sizzlo’z, the ice cream was topped with caramel sauce, which we really liked as it complemented the mango and coconut flavours wonderfully. Overall, we enjoyed the food at Sizzlo’z very much and highly recommend trying their flame grilled chicken and potato wedges. 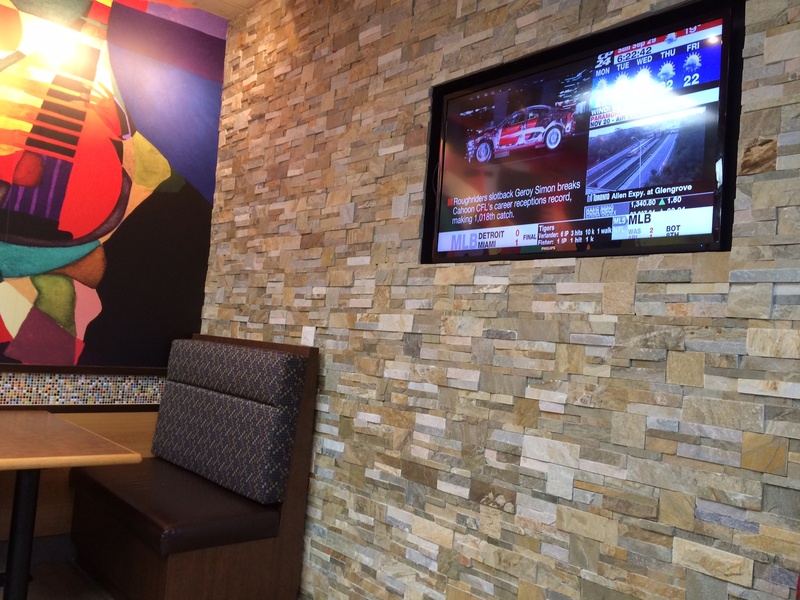 It is a family friendly restaurant with good customer service. The owner himself was working the front line and took the time to speak with customers, which is always great to see. 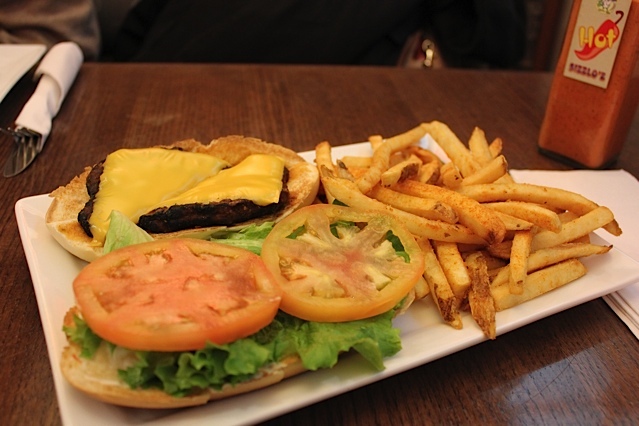 Categories: Restaurant Reviews | Tags: Burger, Chicken, dinner, Flame Grilled Chicken, fries, GTA, Halal, Halal Chicken, Halal Chicken Mississauga, Halal Dessert, Halal Family Restaurant, Halal Food, Halal Food Enthusiasts, Halal Food Review, Halal food toronto, Halal Restaurant, Healthy Halal Chicken, Ice Cream, lunch, Mississauga, Peri Peri, Peri Peri Chicken, Peri Sauce, Portugese Style Chicken, Sizzlo'z, Sizzlo'z Flame Grilled Chicken, Toronto | Permalink. 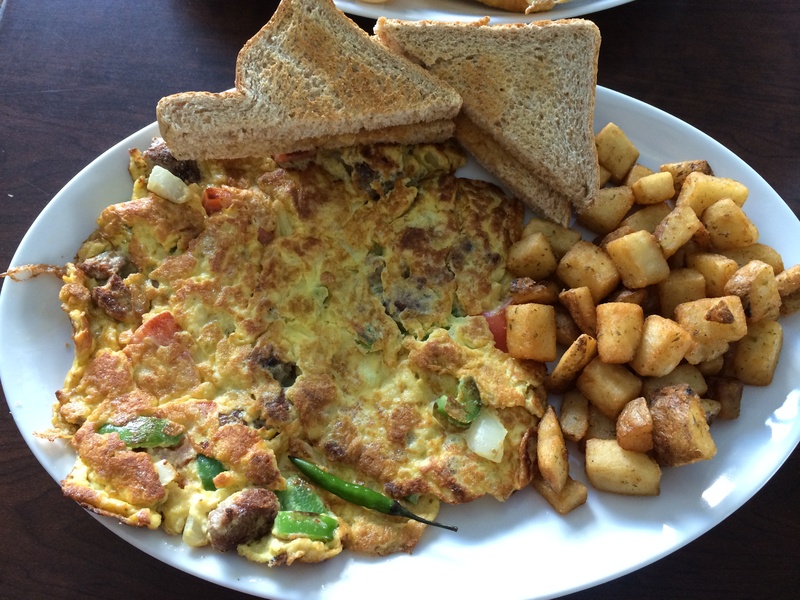 Categories: Restaurant Reviews | Tags: Brampton, breakfast, canada, Coffee, dinner, Eggs, Eggs & Kabob, French Toast, GTA, Halal, Halal Breakfast, Halal Food, Halal Food Review, Halal food toronto, Halal Restaurant, Juice, Kabab, Kabob, lunch, Omelette, Pancakes, Peel, Sausage, Tea, Toronto | Permalink. We were in the mood for a frappuccino, but weren’t up for going outside and getting one. Besides, we had plenty of Whipping Cream left in the fridge that was used earlier for a dessert. We also had plenty of strawberries sitting in the fridge. Instantly, we thought of Strawberries & Creme Frappuccino and started Googling to see if anyone’s got a good DIY recipe for it. Luckily we found one. This recipe called for using milk, but since we had plenty of Whipping Cream sitting in the fridge, we thought why not use that instead! We had a hunch it may just turn out really well, and it did. One sip and we were sold! We had the biggest smile on our faces and were very satisfied with the result. p.s. we apologize that the picture didn’t turn out as great as we wanted it too. there were several factors behind it, but hopefully you get a the idea. 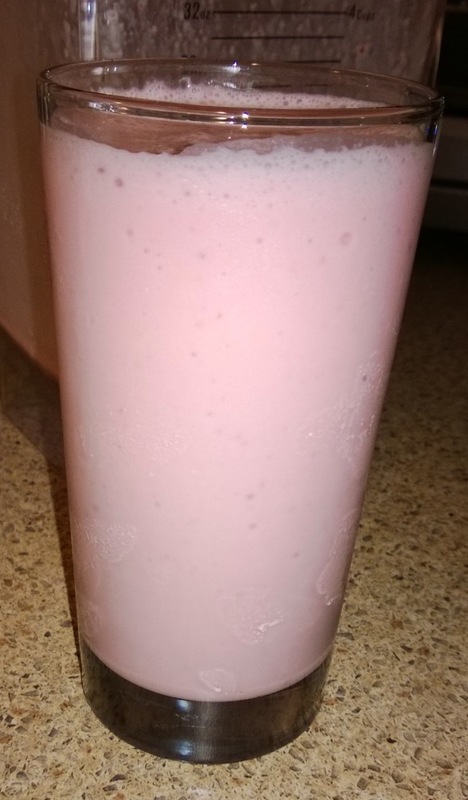 Categories: Recipes | Tags: blend, blended drink, diy, drink, Frappuccino, Halal, Halal Food, Starbucks, Strawberries & Creme Frappuccino | Permalink. 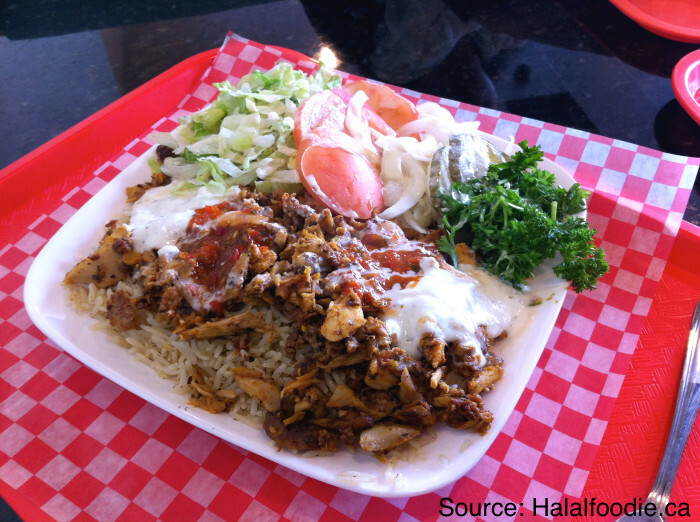 Check out our review of Tasty Shawarma on Halal Foodie. 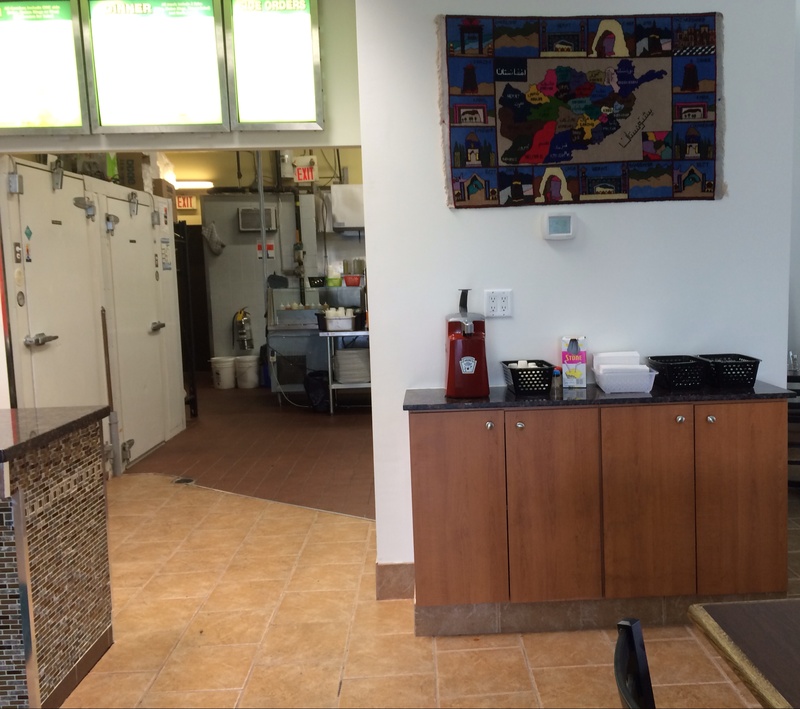 Categories: Restaurant Reviews | Tags: canada, Chicken, dinner, Falafel, GTA, Halal, Halal Beef, Halal Cheesesteak Toronto, Halal Chicken, Halal Food, Halal Food Enthusiasts, Halal Food Markham, Halal Food Review, Halal food toronto, Halal Middle Eastern Food, Halal Restaurant, lunch, Markham, Middle Eastern Food, Ontario, shawarma, Shawarma Plate, Shawarma Wrap, Tasty Shawarma, Tasty Shawarma Markham, Toronto | Permalink. 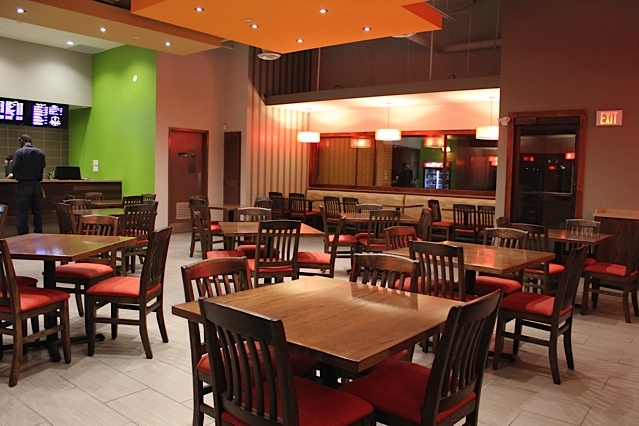 So there’s a new addition to the growing list of halal fast food restaurants in GTA: Whistling Copper Kettle. We learned it will be opening in October 2013. Yesterday night we couldn’t really decide where to eat (out) and we recalled Whistling Copper Kettle. We called them up and learned they’re open for business! 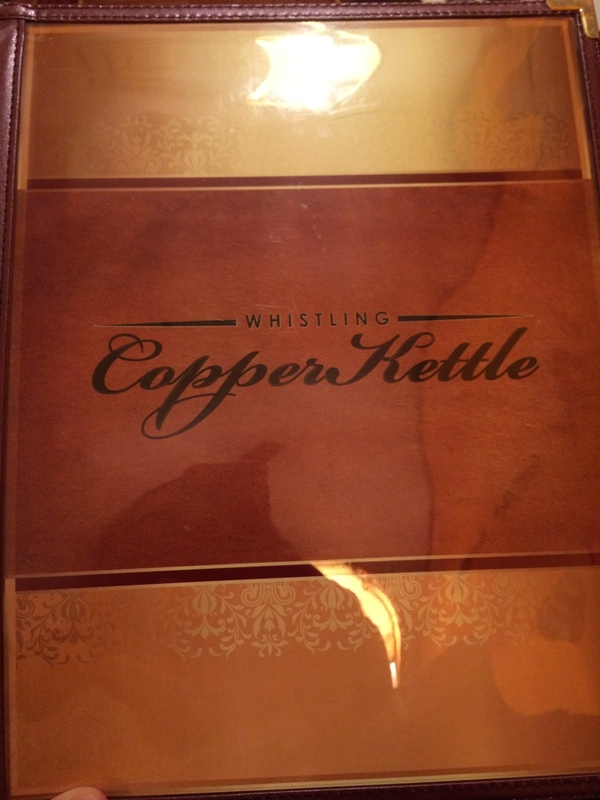 Whistling Copper Kettle is located at 5425 Creditview Road (Credview & Bristol), next to Shopper’s Drug Mart. This used to be the old Salt & Pepper. 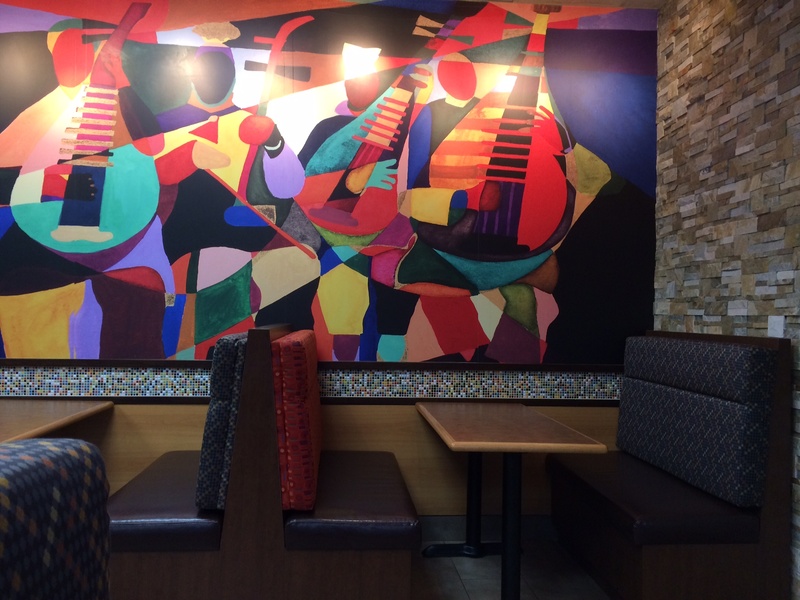 The ambiance and decor is fairly average. 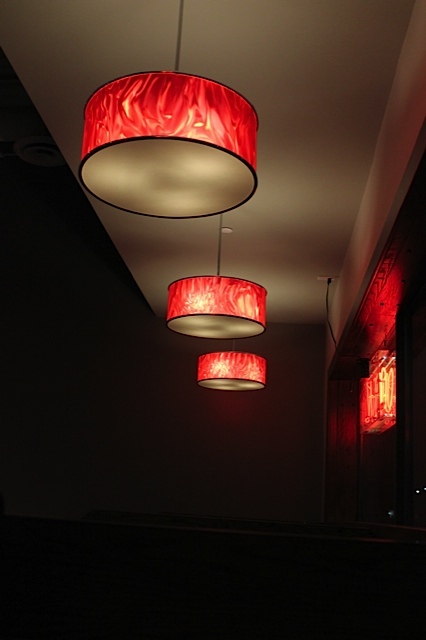 However, their menu is expansive, including Western, Hakka Chinese and some South Asian fusion menu items. We are sure there are enough items of please everyone. Our order arrived within 10-15 minutes. 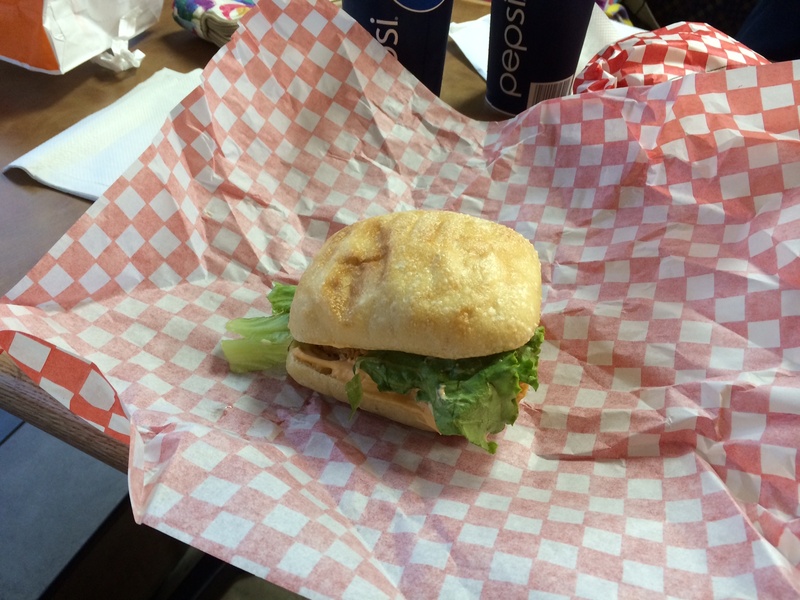 We first tried the Chicken Club Sandwich. The bread was nice and crunchy accompanied with toasty taste. The chicken, egg, cheese and other toppings had very subtle taste, yet it was a tasty sandwich that also felt very nice and light. 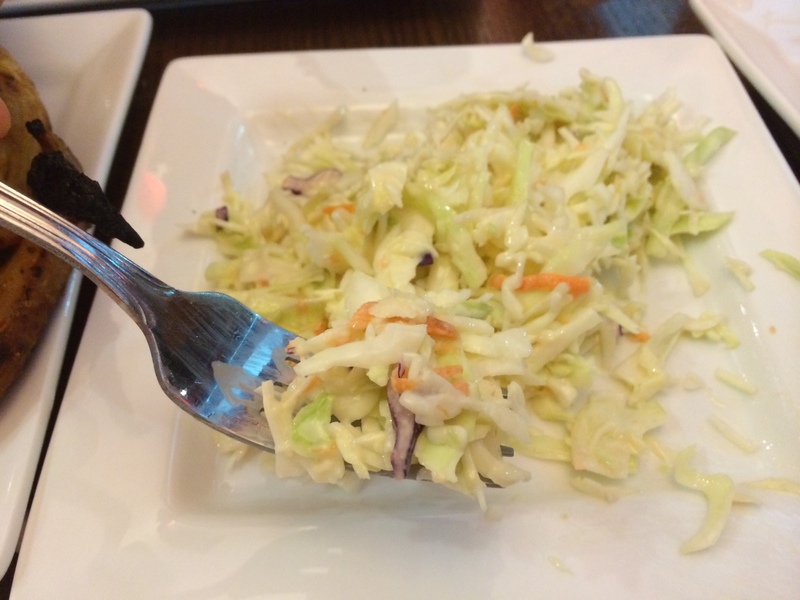 We enjoyed the accompanied fries and coleslaw as well. 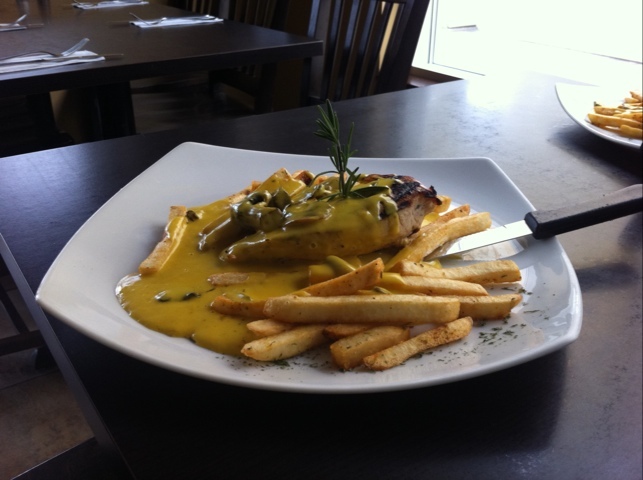 We next tried the Copper Kettle Special Chicken Steak. We were reluctant and didn’t know what to expect. Gotta say we enjoyed the chicken very much as well as the white sauce. The chicken breast was juicy, but also flavourful. 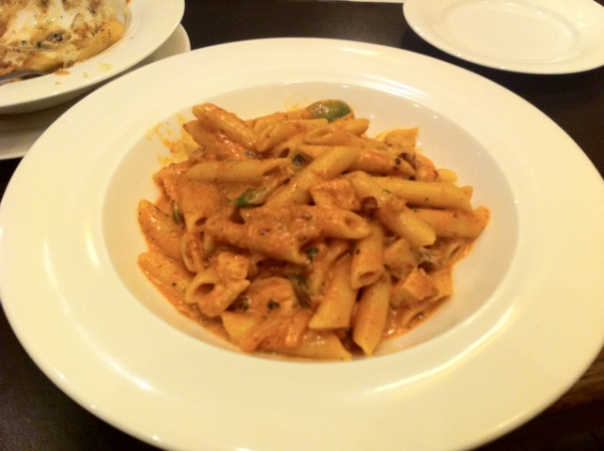 We were pleasantly surprised and happy that we tried this dish. 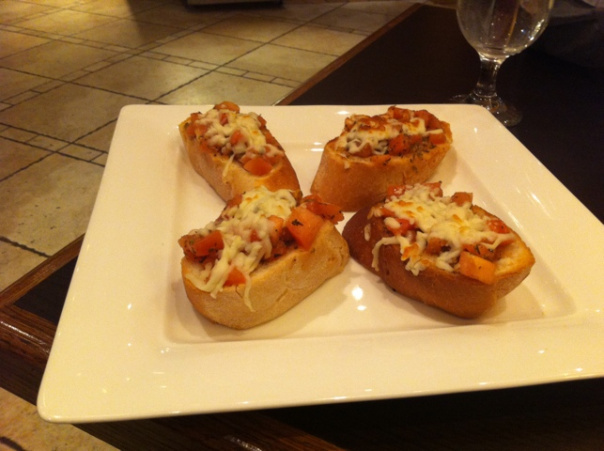 We then tried the Philly Cheesesteak, which we found different from the traditional Philly Cheesesteaks. It had fried onions, fried bell peppers and oregano seasoning on it. It certainly was filling. We found the oregano a little overpowering. Lastly we tried Karachi Bun Kabab. 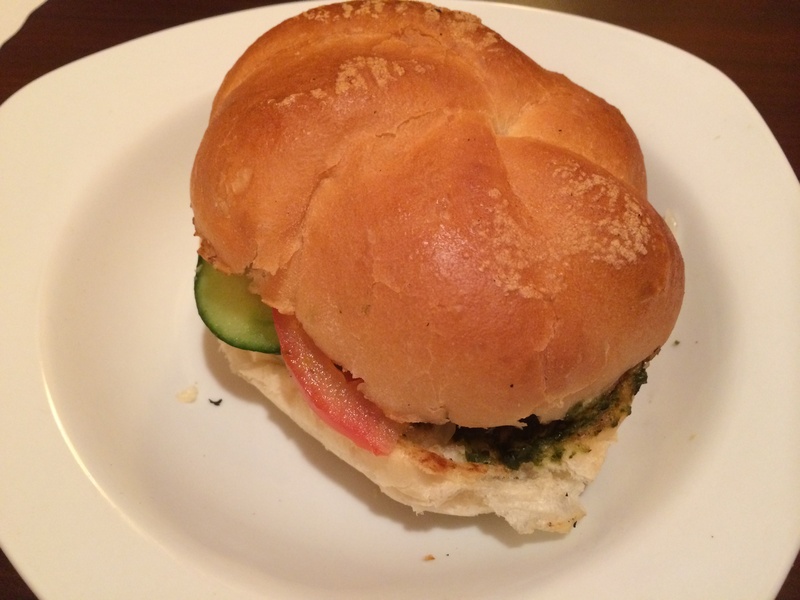 It was chicken shami kabab with chutney and onions on a nice kaiser bun. Overall the taste was great; however, it was slightly dry. 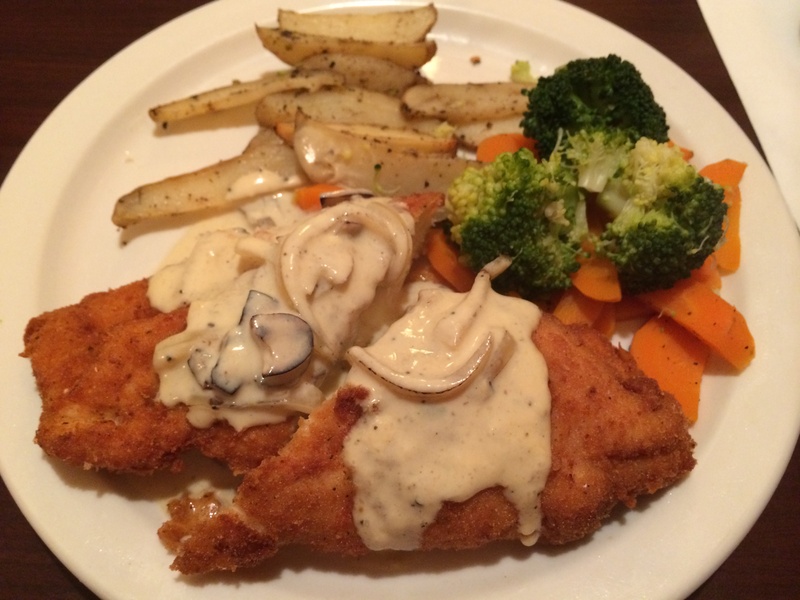 We particularly enjoyed the Chicken Club Sandwich and Copper Kettle Special Chicken Steak. We anticipate visiting again and trying other items on the menu. The owner did indicate that they strictly use hand-slaughtered meat. The owner also mentioned something along the lines of it being the franchise of the original Copper Kettle. 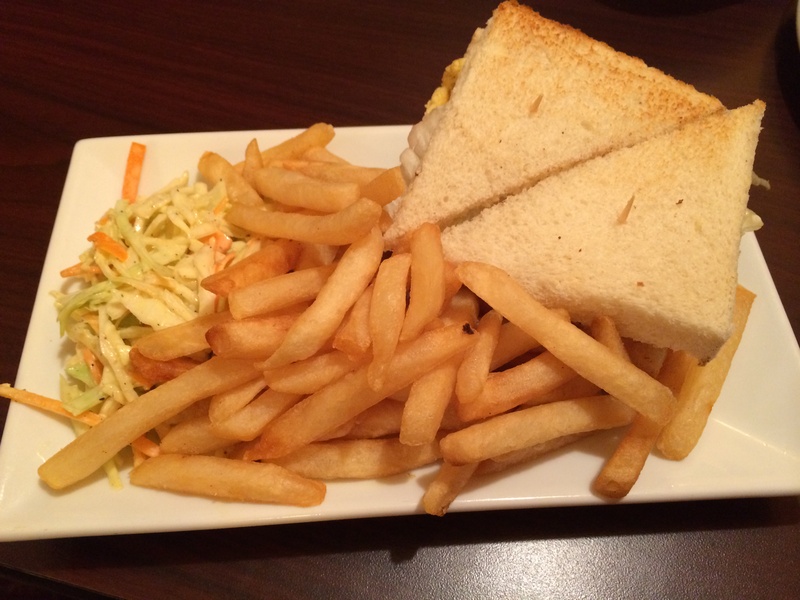 Categories: Restaurant Reviews | Tags: Burger, canada, Chicken, Chicken Steak, Club Sandwich, Coleslaw, Copper Kettle, dinner, Food, fries, GTA, Halal, Halal Food, Halal Food Review, Halal food toronto, Halal Restaurant, Italian, lunch, Mississauga, Pasta, Philly Cheesesteak, steak, Whistling | Permalink. Growing up in North America, we always longed for halal gummy candy. 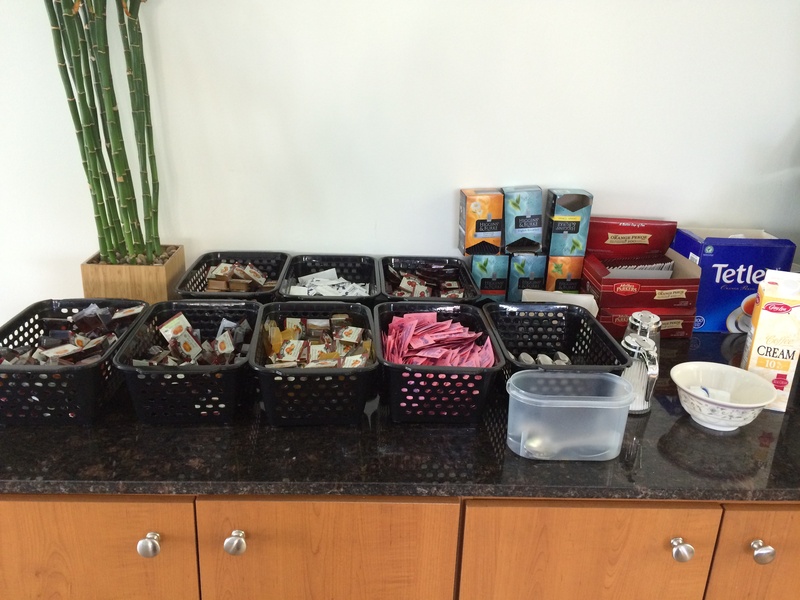 It was frustrating to find gelatin in almost every brand of gummy candy we wanted to buy. We would sometimes buy them from halal grocery stores but the candy always seemed hard and stale. All our halal gummy candy problems were solved when Blossom and Bean introduced Yumy Yumy Gummy Candy this past summer. We were in gummy candy heaven! As you can guess from the above picture, we get a bit carried away whenever we have an opportunity to buy their candy. 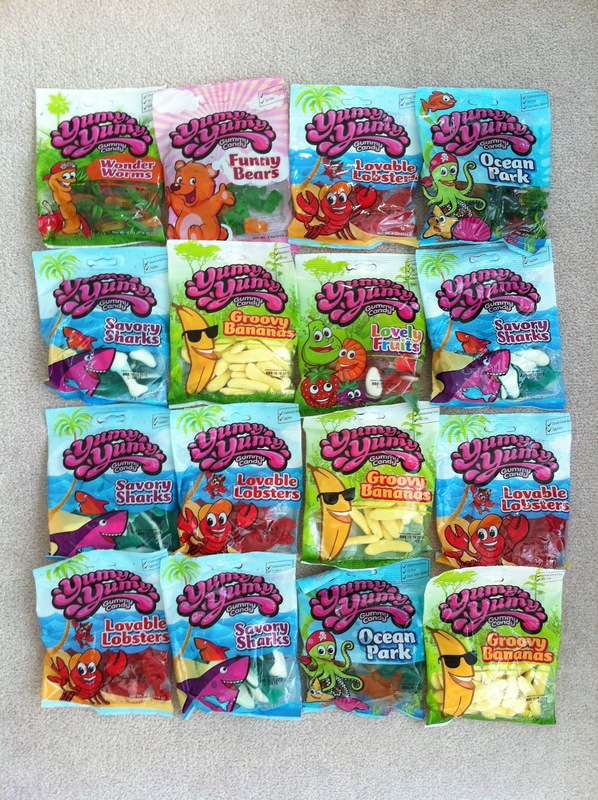 Our favourites are Funny Bears, Wonder Worms, Savory Sharks, Lovable Lobsters and Groovy Bananas. They are $2.50 each and Blossom and Bean usually has various deals going on such as their 10 for $10 and/or 5 for $10 deals. These make great Eid presents for kids (and even adults). These halal gummy candies can be purchased online on the Blossom and Bean website, at Kaamilah boutique located 3031 Markham Road, Unit 32 and many Muslim events throughout the GTA. Categories: Product Reviews, Restaurant Reviews, Uncategorized | Tags: Blossom & Bean, Blossom and Bean, GTA, Halal, Halal Dessert, Halal Food, Halal Food Review, Halal food toronto, Halal Gelatin, Halal Gummy Bears, Halal Gummy Candy, Halal Gummy Worms, Halal Restaurant, Kaamilah, North American Food, Scarborough, Toronto, Yumy Yumy Gummy Candy | Permalink. Not too long ago we were craving Red Velvet Cupcakes and our natural instinct was to go pick up some from a bakery. As we were about to act on our instinct, we thought wait a minute… how about we try baking it ourselves and see how it goes. So we started Googling up recipes and decided to go with one that appeared rather simple and didn’t require buying ingredients that would go expire sitting in shelves because they are exclusive to Red Velvet Cupcake/Cake. So we found a recipe and thought why not give it a try at an upcoming dinner, so we aren’t stuck devouring Red Velvet Cupcakes all by ourselves? For the cake: Preheat the oven to 350 degrees F.
In a food processor, mix the sugar with the eggs, oil, yogurt, food coloring, vinegar, and vanilla. Add flour, cocoa, baking soda, and salt. Blend until just incorporated. Place paper cupcake liners into a muffin pan, and divide the batter evenly among the cupcake liners, pouring only halfway so the batter doesn’t overflow. Bake, rotating halfway through, for 25 to 30 minutes. Remove the cupcakes and let cool. For the icing: In a bowl, beat the mascarpone, icing sugar, cream, and lemon zest together until the mixture is smooth. Spoon a dollop of mascarpone cream on the cupcakes. 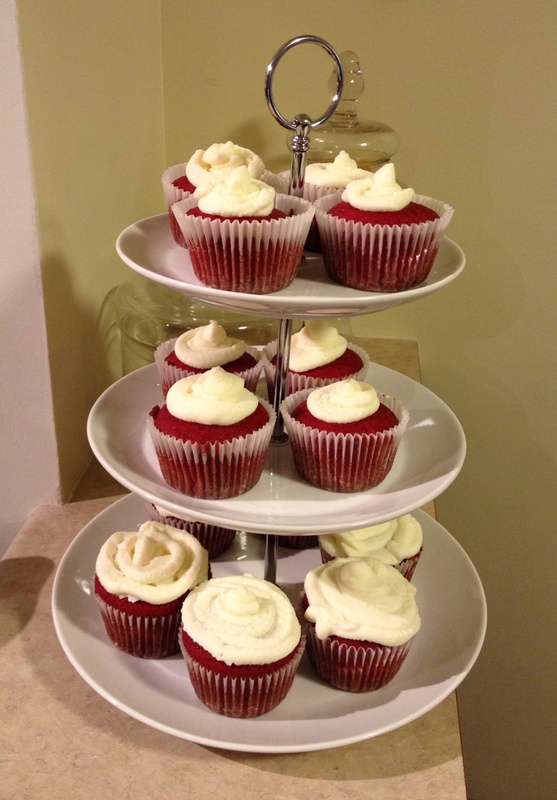 To our surprise, everyone loved the Red Velvet Cupcakes! Happy Baking! Categories: Recipes | Tags: bake, baking, dessert, diy, Halal, Halal Food, Homemade, recipe, red velvet cake, red velvet cupcake, sweet, tried and tested | Permalink. We were in the mood for deep fried greasy goodness and recalled Quik Chik. We recalled hearing it used to be one of the bigger Popeyes location in the recent past, so we thought it may be safe to give Quik Chik a try. Upon entering, we were pleased with the ambiance. It was freshly painted and the furniture looked new. 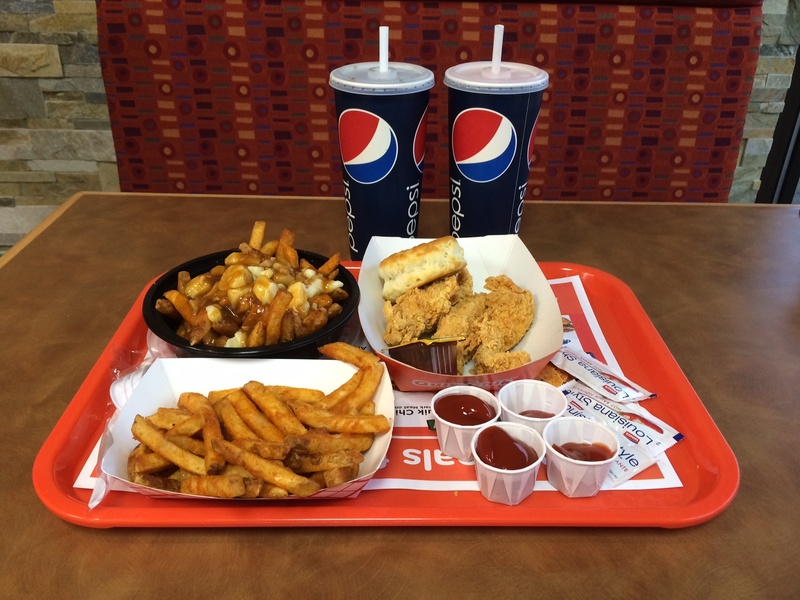 We ordered 3 pc chicken strips, 2 sandwiches with fries, poutine and biscuit for sides. We first tried 3 pc chicken strips and totally loved’em! We had to take a couple of bites to really enjoy the taste. The best part? It was far less oily/greasy than Popeyes. We next tried the biscuit, which was good too. Slightly less buttery and salty than the biscuits we’ve tried in the past. We then tried the Chicken Sandwich, which we thought was fine. The bun was not as soft as we expected. The chicken patty was fine. Again, less oily, which was good. The fries and poutine tasted fine as well. The drinks that came with the combo appeared to be large sized and came with free refills. Chicken strips were our favourite! We can confidently say that whenever we’re in the mood for fried chicken, we would definitely go back to Quik Chik. Lastly, we found their customer service to be good and the our order arrived promptly as well. Overall, it was a good experience. 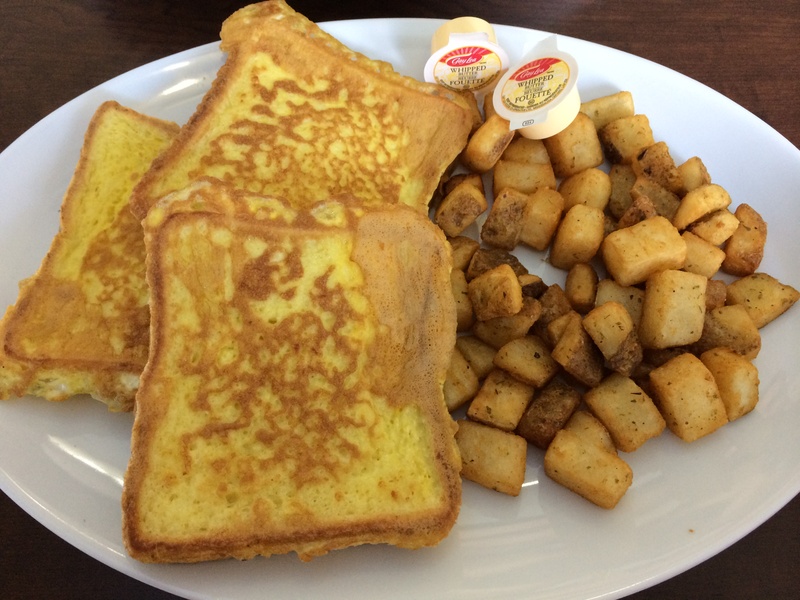 Categories: Restaurant Reviews | Tags: Biscuits, Cajun Chicken, Cajun Food, Chicken, Chicken Strips, fried chicken, fries, Halal, Halal Chicken, Halal Food, Mississauga, popeye's, popeye's chicken, poutine | Permalink. We love Frito Lay snacks and from time to time we find ourselves referring to their list of Porcine Enzymes free products to ensure we can enjoy them. It is important to note that Frito Lay’s list of Porcine Enzymes free product list changes from time to time. Hence, when in doubt, please call them and send them an email to get an updated list. While we strive to update our product lists and nutritional information in a timely manner, the information on this website may not be the most current. All Frito Lay Canada products are labeled accurately with the most current ingredient information, and since the ingredients in our products are subject to change at any time, we recommend that you check the label on a specific product for the most current and accurate nutritional information. If you require assistance, please contact our Consumer Response Centre toll-free at 1-800-376-2257, Monday through Friday between 10:00am and 5:30pm Eastern Time. Categories: Halal or Haram? | Tags: canada, canadian, cheetos, chips, doritos, frito lay, fritos, Halal, junkfood, lays, porcine enzyme, ruffles, snacks, sunchips | Permalink. We’ve been a regular at Kara Mia for as long as we can remember. To this day Kara Mia remains our favourite. The Muslims in GTA have either heard of or at least tried Kara Mia and everyone has their own favourites. One thing that everyone agrees on is their customer service is amazing! Chicken Saffron – love the smooth velvety sauce, the taste of saffron of course, and strong creamy/buttery taste. It goes down so well! Poutine with Peppercorn Sauce – we absolutely love it! 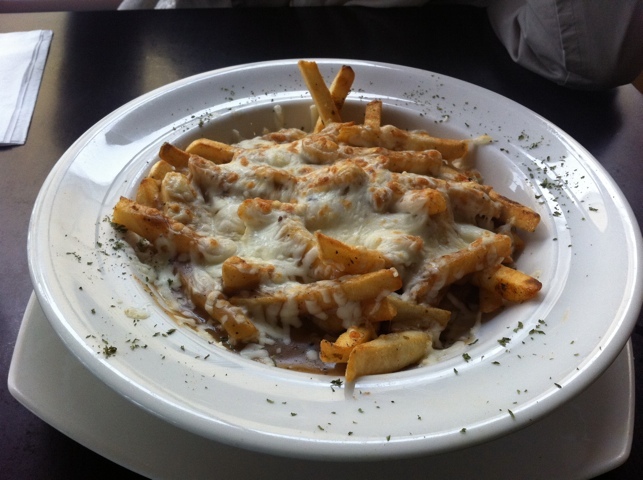 We love the crispy fries in peppercorn sauce, topped with baked mozarella cheese. Yum! We’ve frequented the Vaughan location so often that the server would see us walking in and figure that we’re going to be ordering Chicken Saffron, Poutine with Peppercorn sauce and Pina Coladas. 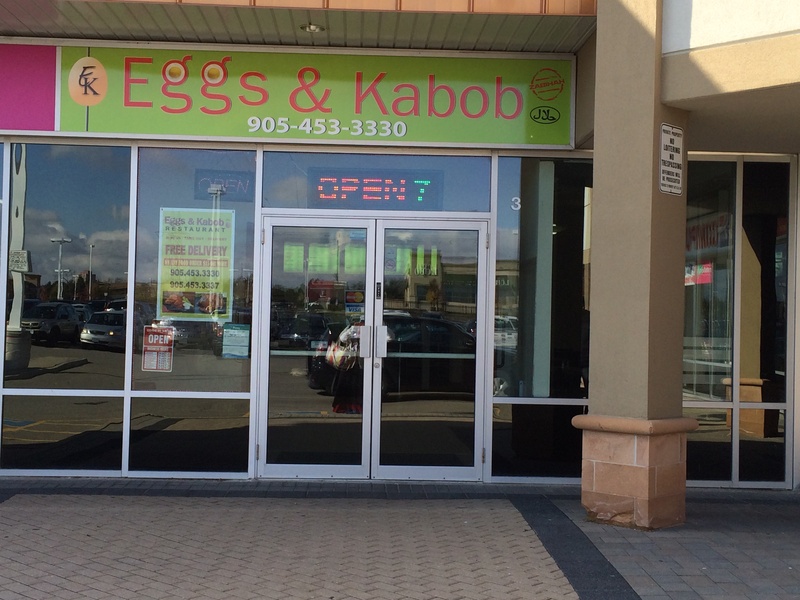 We’ve had better experience at the Vaughan location, both in terms of food taste/quality as well as customer service; hence, we prefer it over the Mississauga location. We highly recommend giving this place a try, if you haven’t already done so. 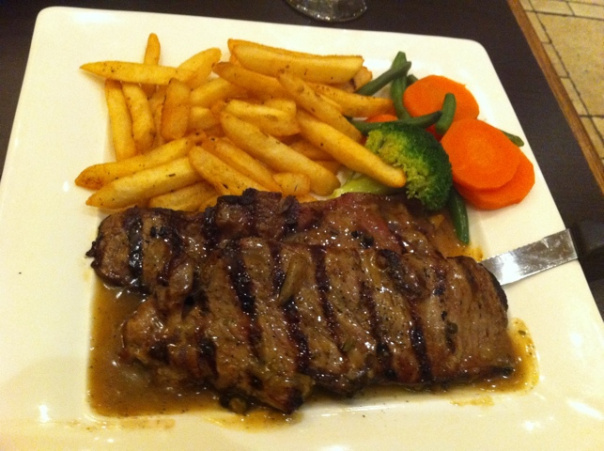 Categories: Restaurant Reviews | Tags: GTA, Halal, Halal Food, Italian, Kara Mia, Mississauga, Pasta, poutine, steak, Vaughan | Permalink.